Beautifully natural carrots, honey, oatmeal and goats milk soap. 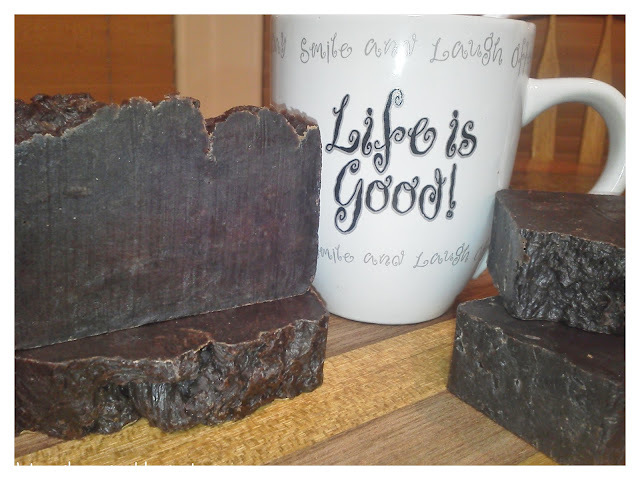 This homemade soap was created with my teens in mind. 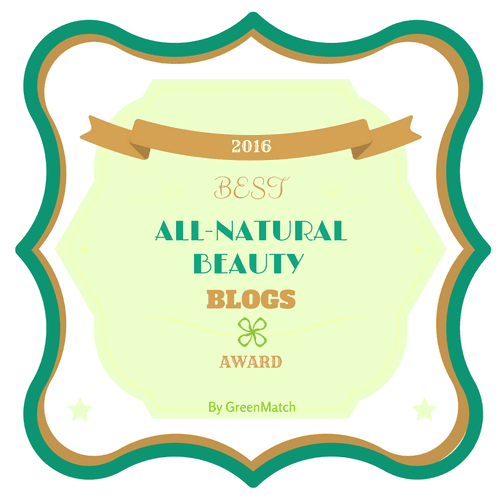 I wanted a pure, clean soap for them to use on their skin and face that wouldn't dry them out and overstimulate their oil glands, which is what causes more break outs. A natural soap like this is suitable for all skin types, it is very gentle, cleans beautifully and leaves the skin feeling really nice, not taunt like you feel after using a detergent soap. CAROTTS have extraordinary skin protection (from UVR) and conditioning benefits naturally. It's vitamin A is great for cell growth, as well as antioxidant benefits for that troubled acne prone skin while it's vitamin C promotes skin elasticity. Carrots contain valuable nutrients like glucose, iron, copper, Vitamins C, D, E, K and most importantly carotene. The vitamin C stimulates collagen production, naturally. oatmeal, ground fine. 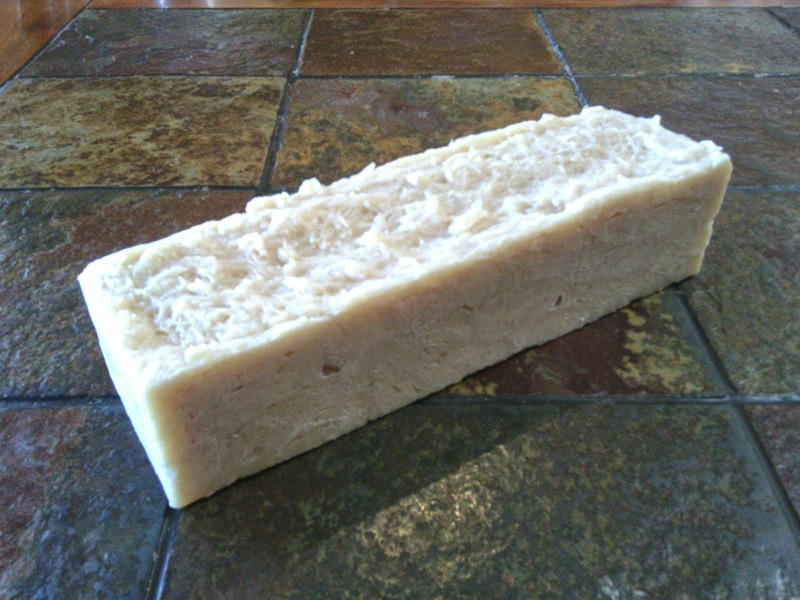 Sweet Almond oil along with coconut oil, shea butter and beeswax add that luxurious touch. The scent is very natural, light, almost a slight licorice scent. Very nice. Made the hot process method, ready to use in 1 day. Makes a great lather. For more details, or how-to's of my recipe, just leave a comment below, and I'd be happy to help you make this bar. 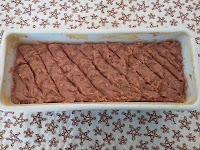 Here is a link to the Bathmistress Youtube tutorial on how to incorporate carrot baby food into soap. Baby food is an easy puree to use, lots of new ideas here ladies!! 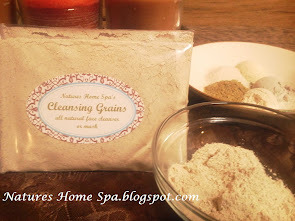 I tried it with baby applesauce, and I absolute love the soap. So fresh. Find recipe in comments below..
Looks good enough to eat! I can't wait to try carrots in my soaps! Thanks for the post! Hi Val, thanks for commenting! Yes, this soap came out really nice, not choppy like HP usually is, quite smooth. I'd like to try pumpkin next. One soaper said not to use pumpkin pie mix with the sugar and spices only use plain pumpkin in a can...any input on that? 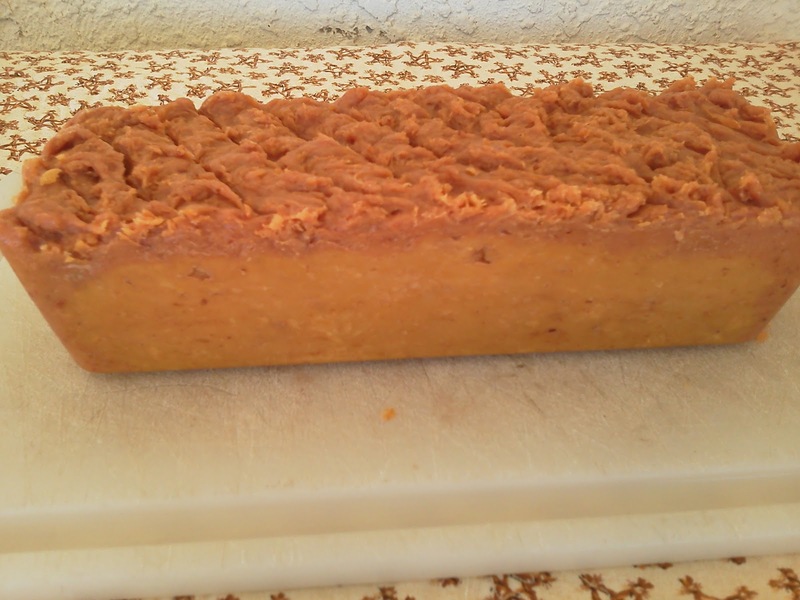 I also saw soap made with sweet potato puree. Ok, what is sweet potato puree? I'd like to try it, sounds interesting. Oh boy! Oh boy! Oh boy! I'll bring over some acorn squash I just pureed! Will that work? Hi Kitty, thanks for stopping by! I have never tried acorn squash in a soap recipe so I don't know how it would do. If you try it, let me know how it goes. I love to try new things in soap! 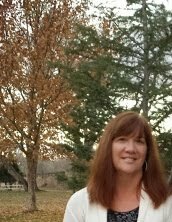 Hello Jan and thanks for the kind words! 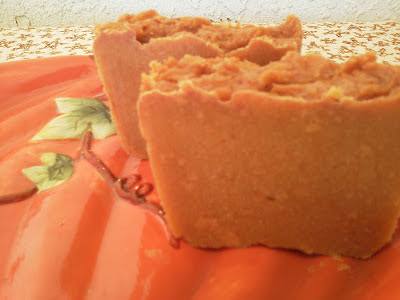 The easiest way to incorporate carrot puree into your homemade soap is to use baby food! It works marvelous. So pure. What you do is...measure your carrot puree and count that as part of your liquids total. For this recipe I used 2 plastic containers of carrot baby food, about 7 oz I think, and the rest of the liquid was frozen goat milk. You can use water, etc. I added the lye crystals directly to the carrot puree, slowly, and stirred. It immediately liquifies. I dropped in a goats milk ice cube one at a time and stirred, this kept the goats milk from scalding, worked perfect. You can do this with baby food applesauce, bananas as well. I loved how the applesauce came out. I got the inspiration from this tutorial from Bathmistress on youtube "Carrot and Buttermilk CP Soap Part 1", sorry can't figure out how to link it. She shows you exactly how to do it in the crock pot and it works great every time! Jan, almost forgot...after your carrot baby food and liquid is fully incorporated with the lye crystals, you simply pour it into your oils as you normally do your lye/water. Hand stir this a bit in your crock pot before you stick blend it. Hi Anna- would you share this recipe with me please? I went out and got baby food carrots- my goats milk is frozen, just need a recipe!! Thank you!! I appreciate your willingess to share your craft! 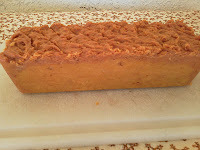 Hi Loyda, I just used what oils/butters I had to make this recipe and it turned out really nice. Feel free to substitute what you have on hand, just be sure and run the recipe through a lye calculator like the one at Brambleberry.com or Mountain Sage Lye Calc. 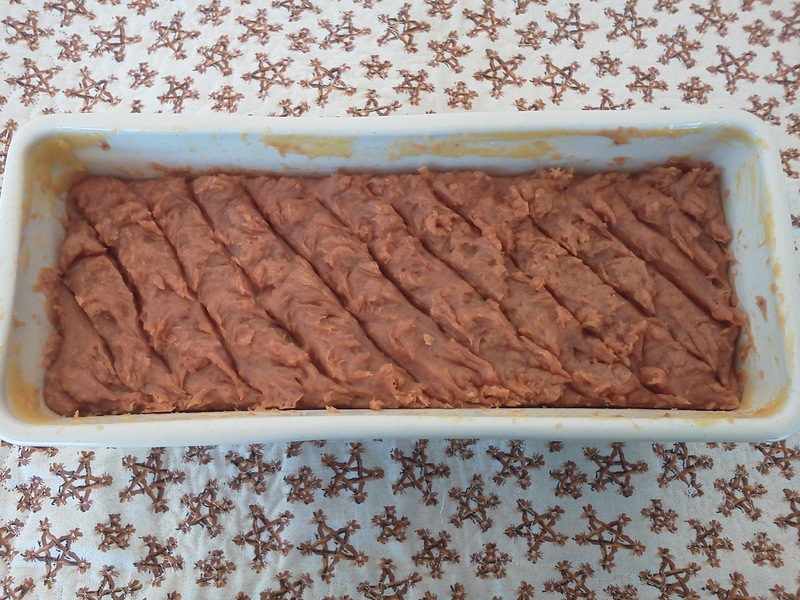 I am going to post a link for you above in my Post to a great, short Youtube tutorial by the Bathmistress, on how to use baby food in soap, SO easy to do. She used buttermilk in her recipe, I used goats milk. like I said I used what I had on hand!